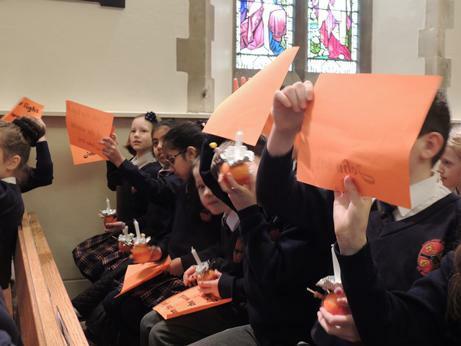 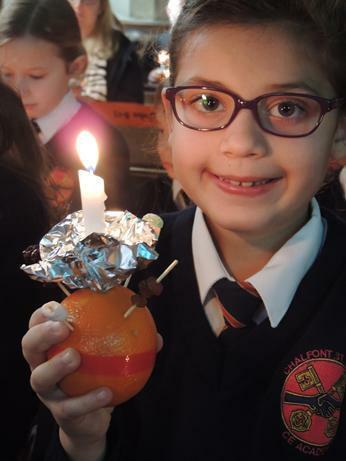 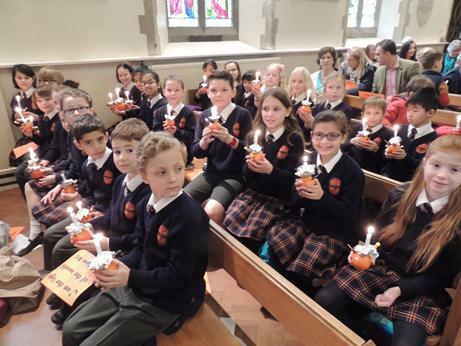 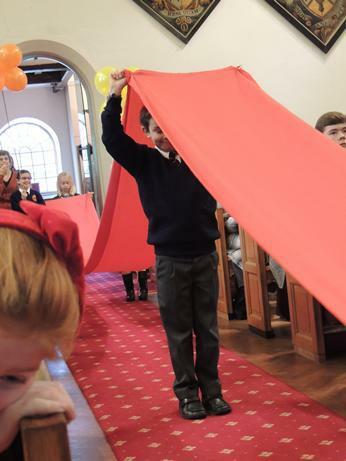 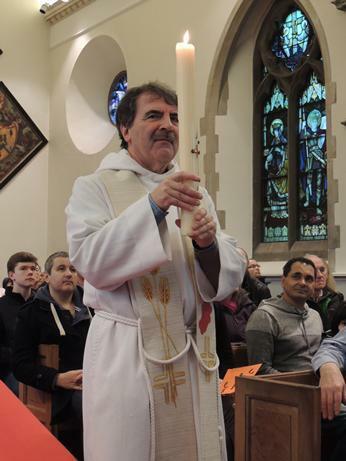 Children gathered in the family service in our local church today for the occasion of Christingle, led by Revd. 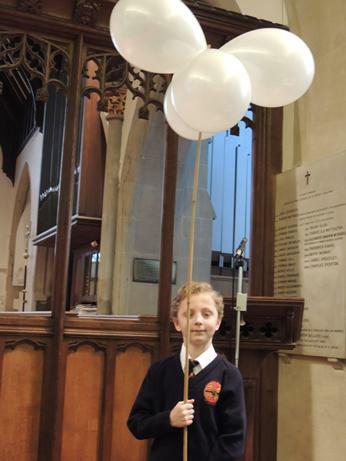 Jim King and Luke Maxted. 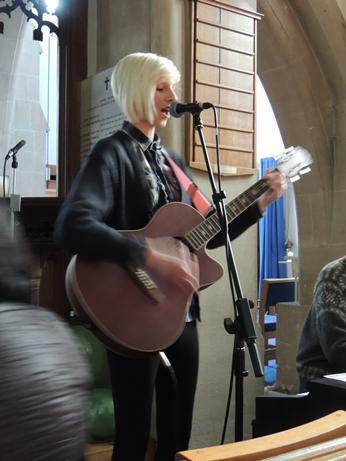 We were delighted to meet the church's new Youth Worker, Amy-Jane Wilson, a talented musician who led the singing. 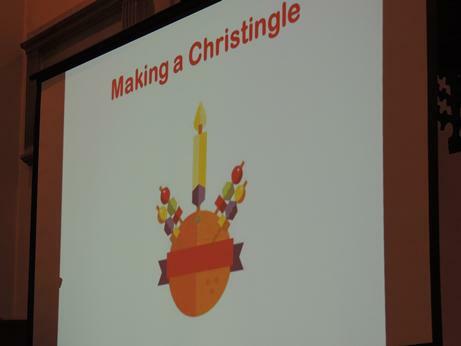 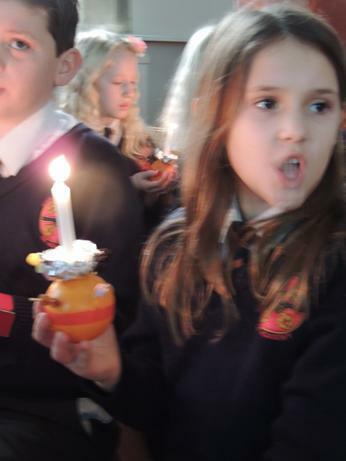 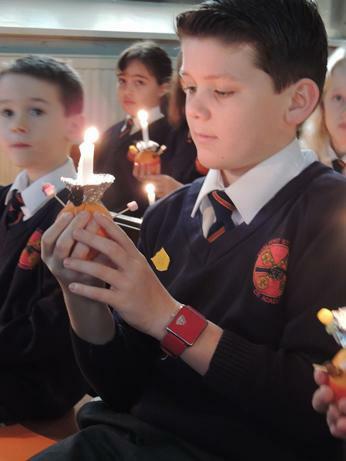 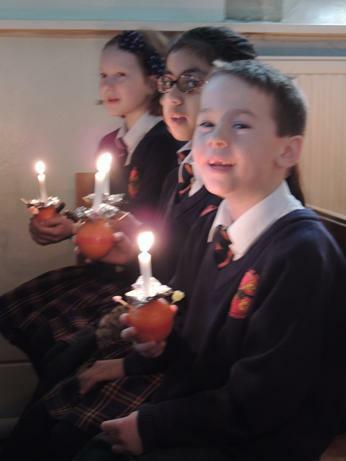 The service which focused on the theme of Jesus, as the "Light of the World" involves the creation of Christingles, made from an orange, with a red band around the circumference, representing Jesus' blood; four cocktail sticks with sweets on which represent the four seasons and a candle in the centre which represents Jesus. 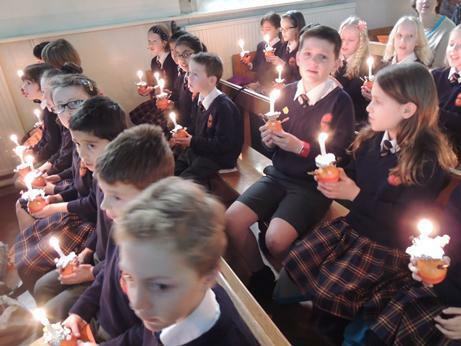 Our children turned out in their numbers for the service and sang two songs for the congregation in addition to the hymns which we all sang. 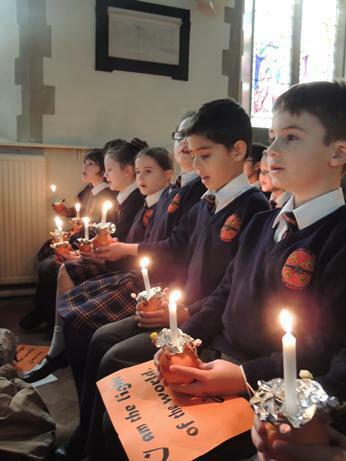 A delightful occasion for the children to represent the school!